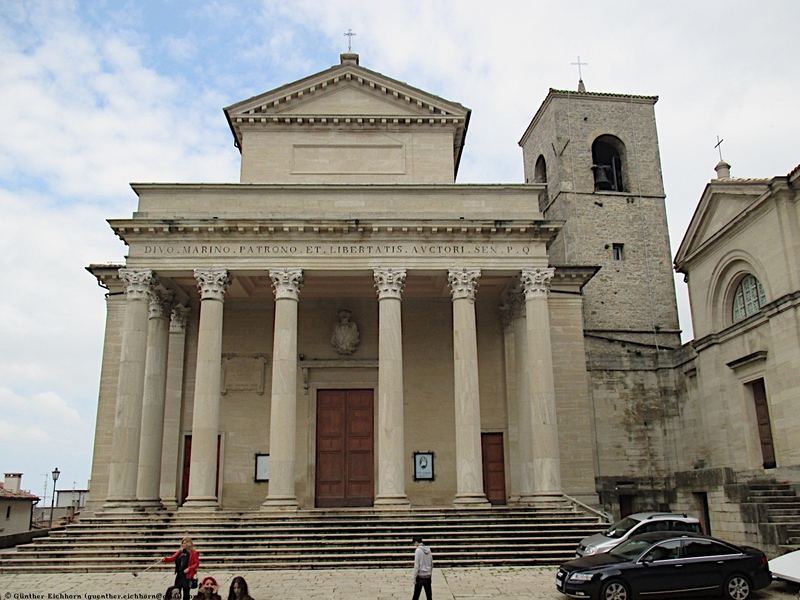 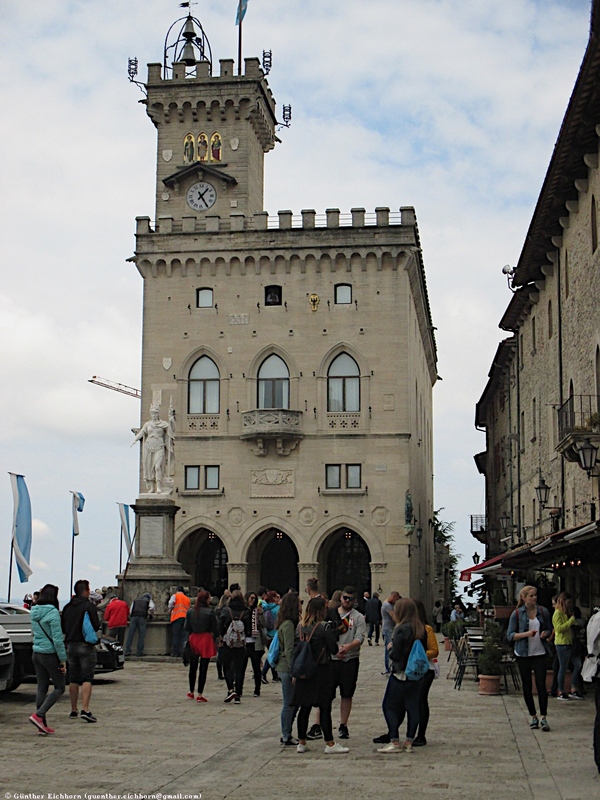 In May 2016 I finally visited San Marino, the only country in Western Europe that I had not visited. 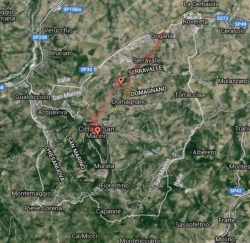 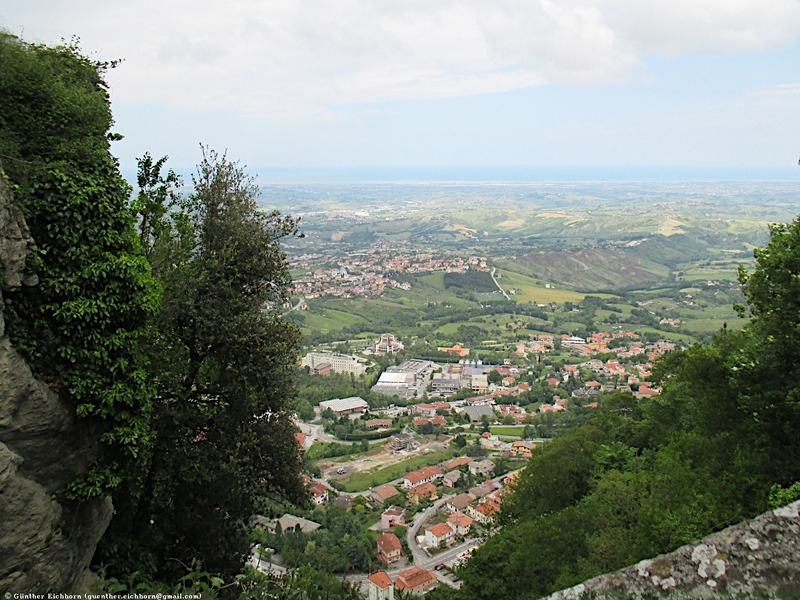 San Marino is only about 62 km² (24 square miles), the fifth smallest country in the world, with about 32,000 people living there. 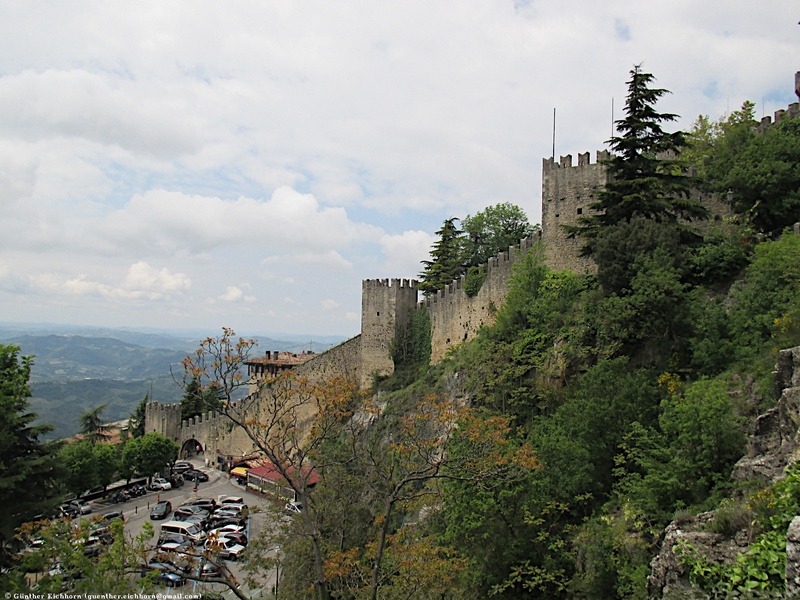 It is the oldest surviving sovereign country and the oldest republic, dating back to 301 CE. Its written constitution dates back to the 16th century. 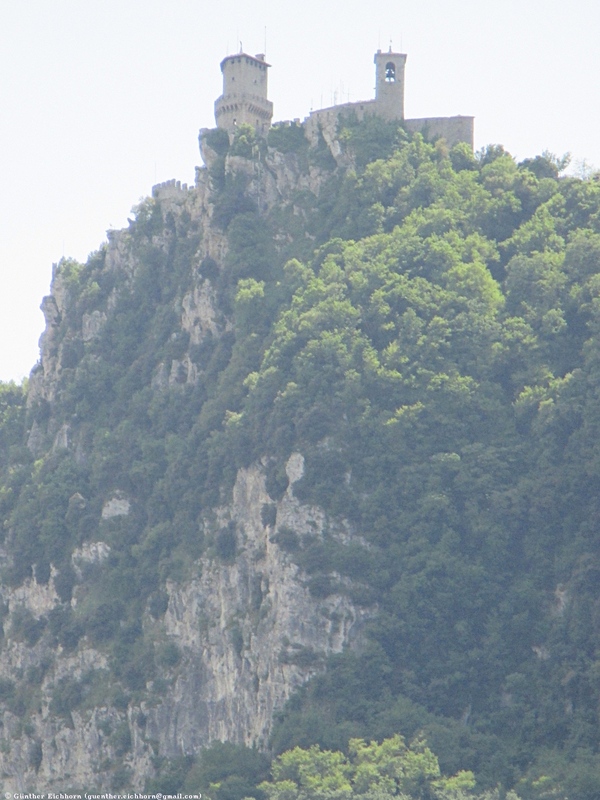 It is the smallest republic in the world. 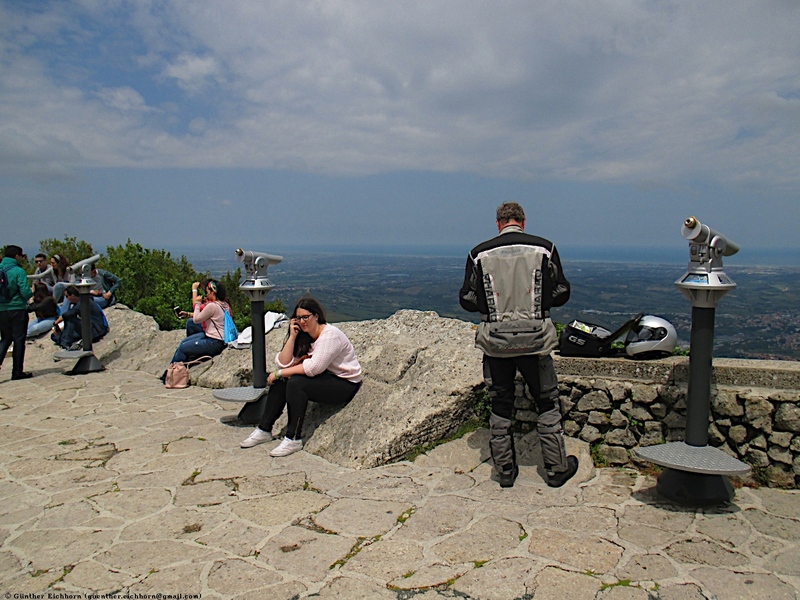 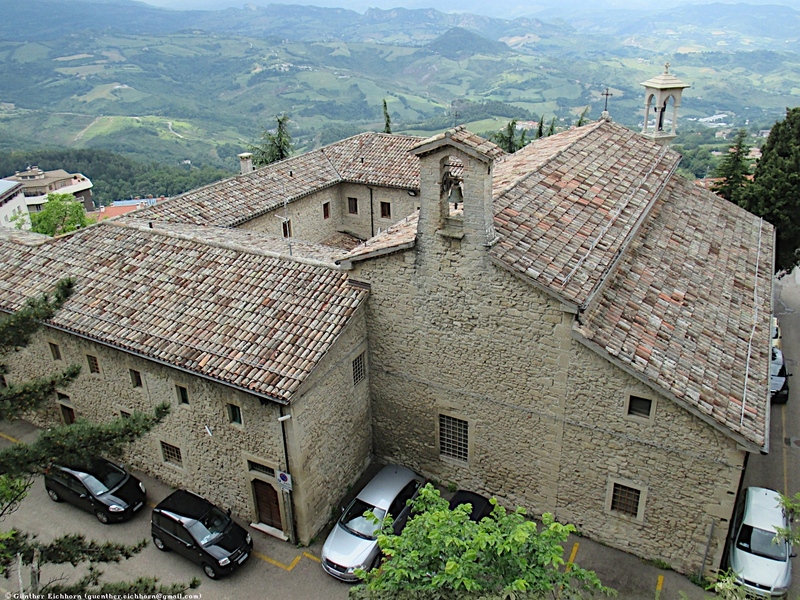 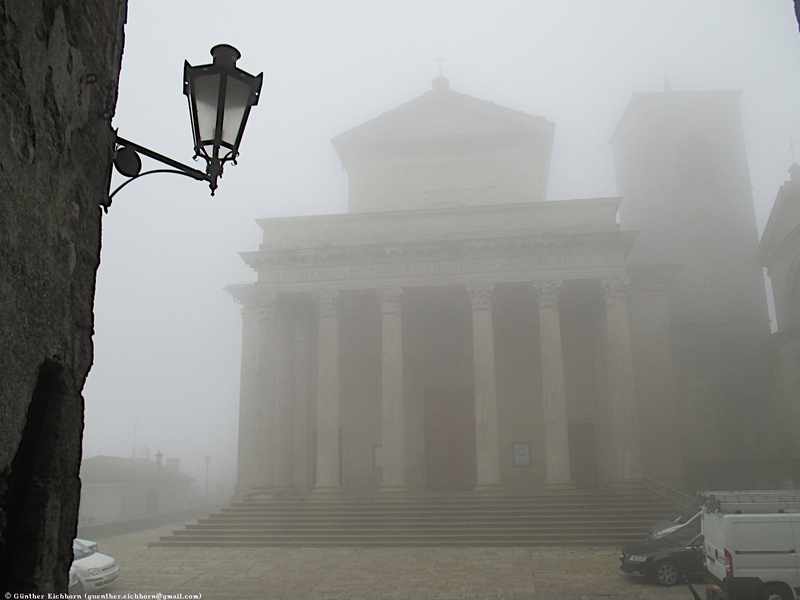 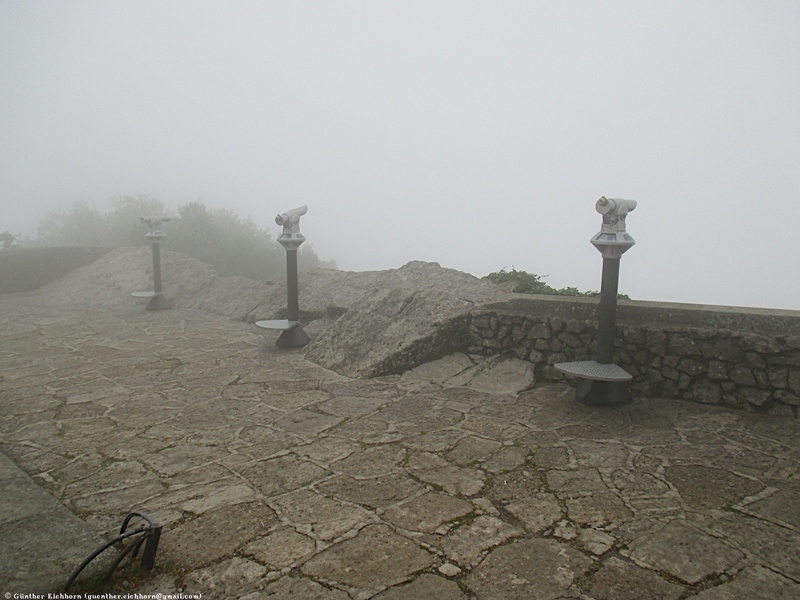 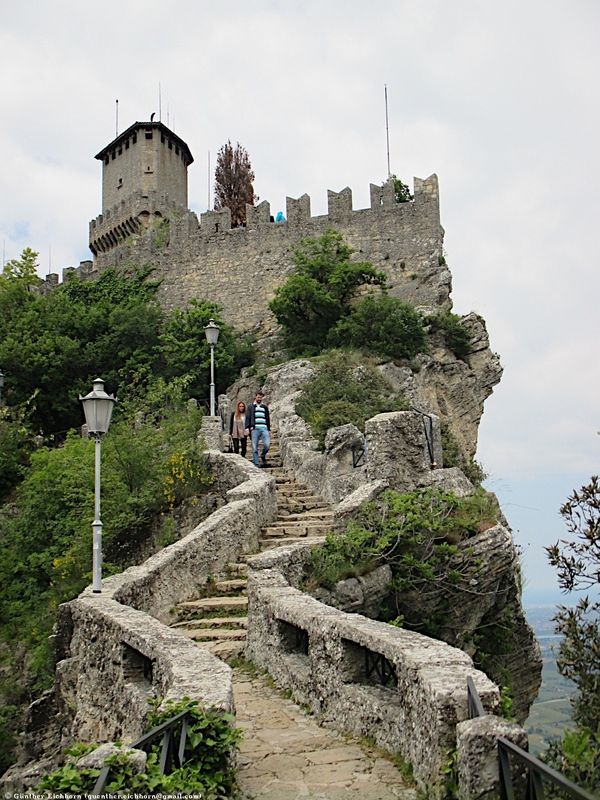 San Marino Historic Centre and Mount Titano are a UNESCO World Heritage Site. 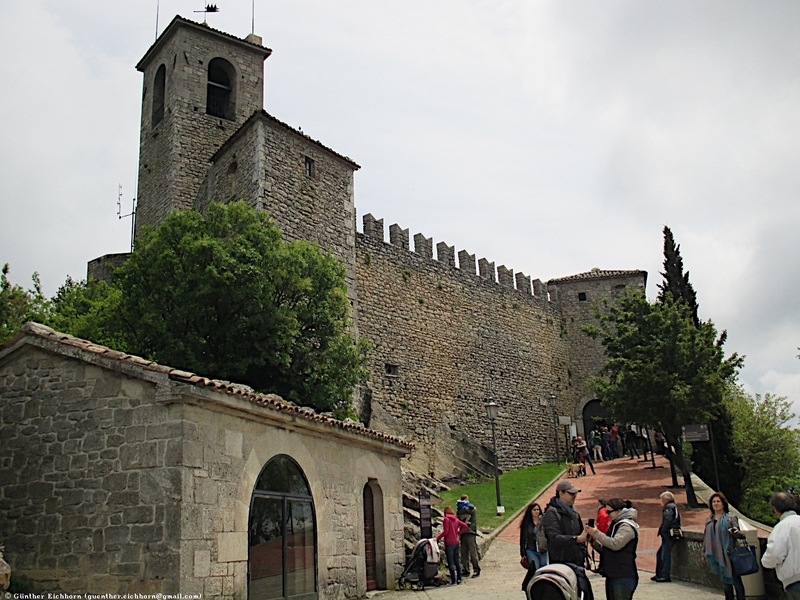 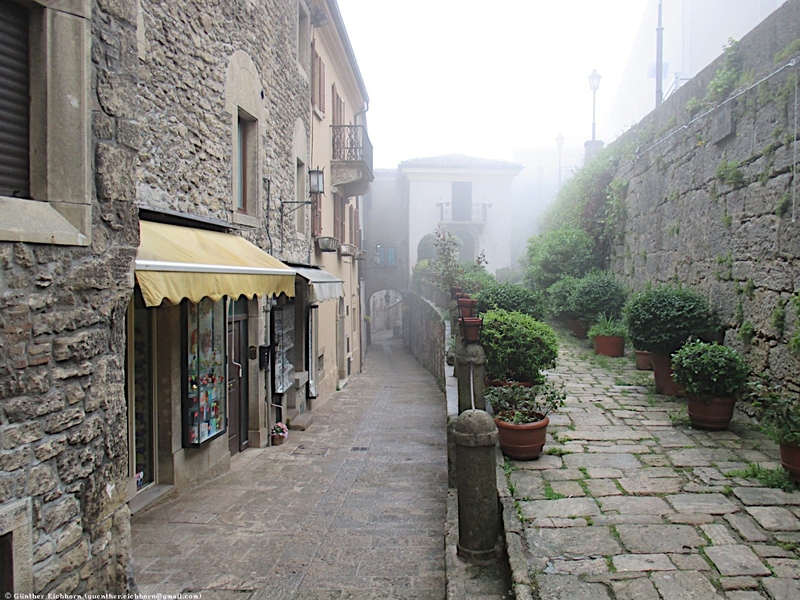 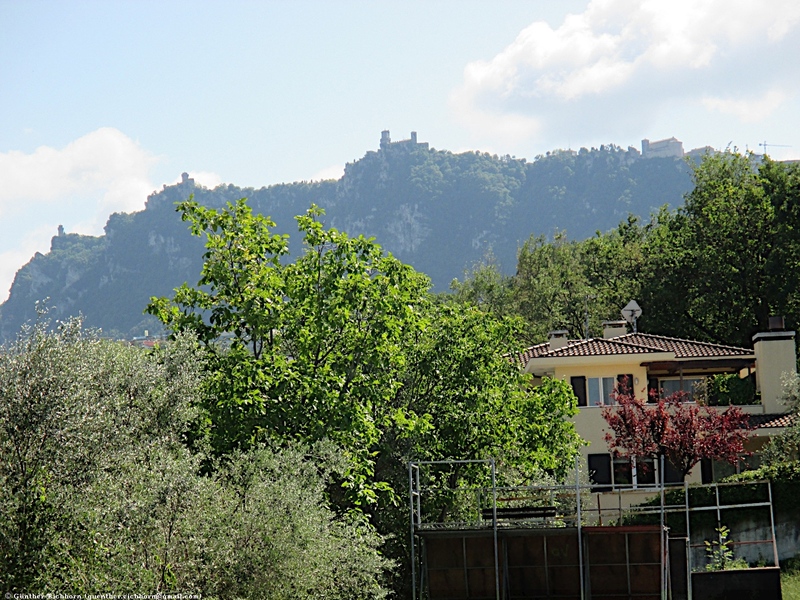 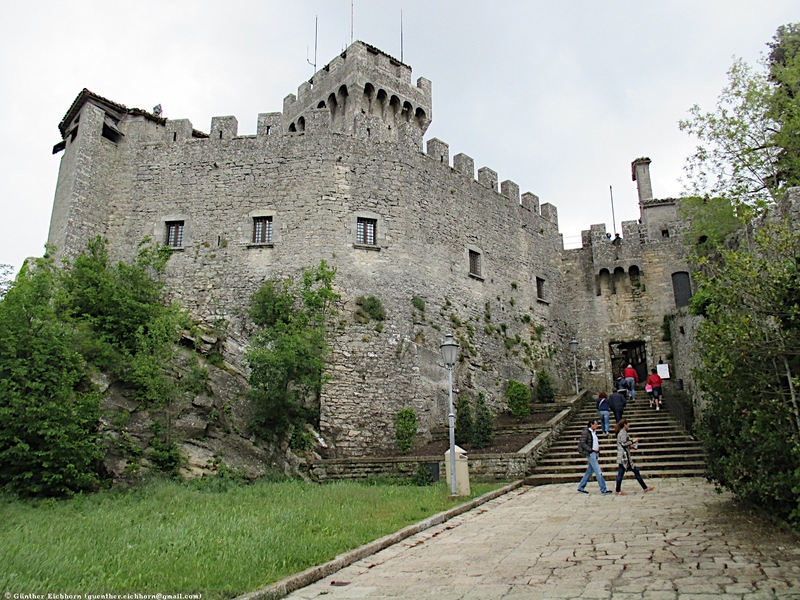 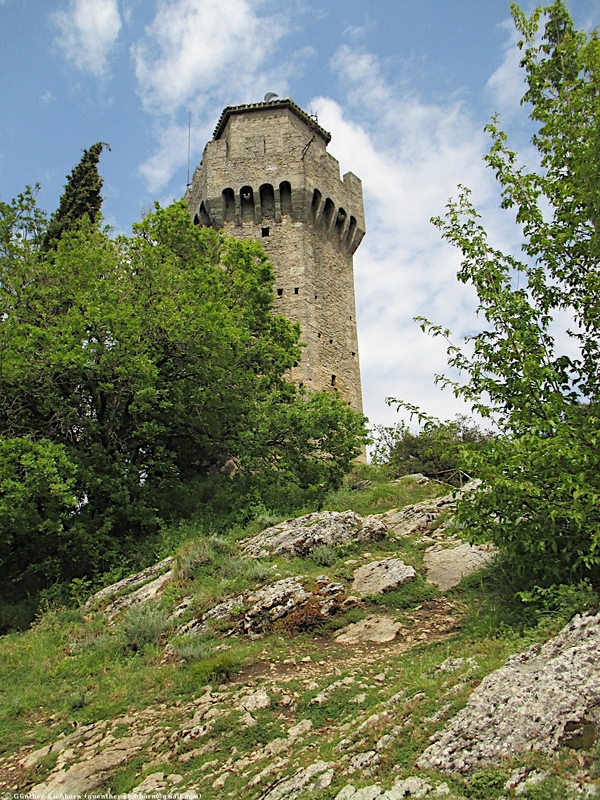 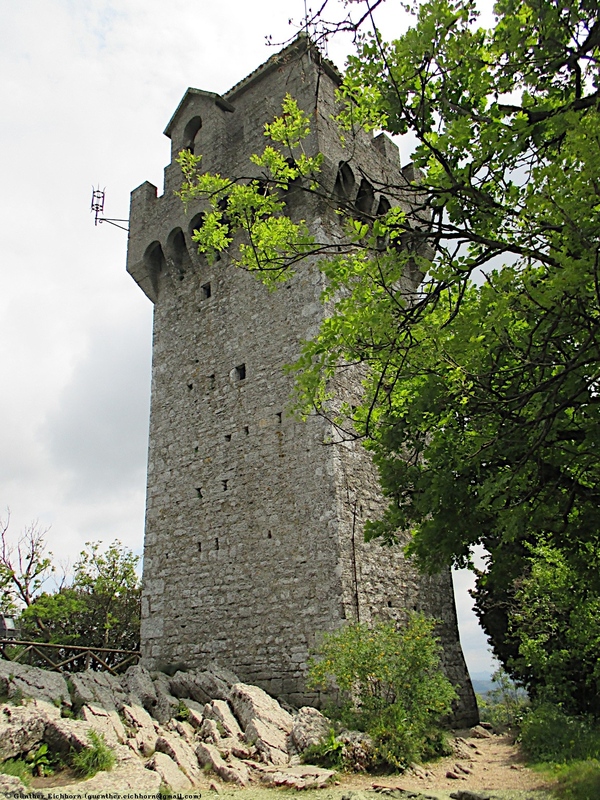 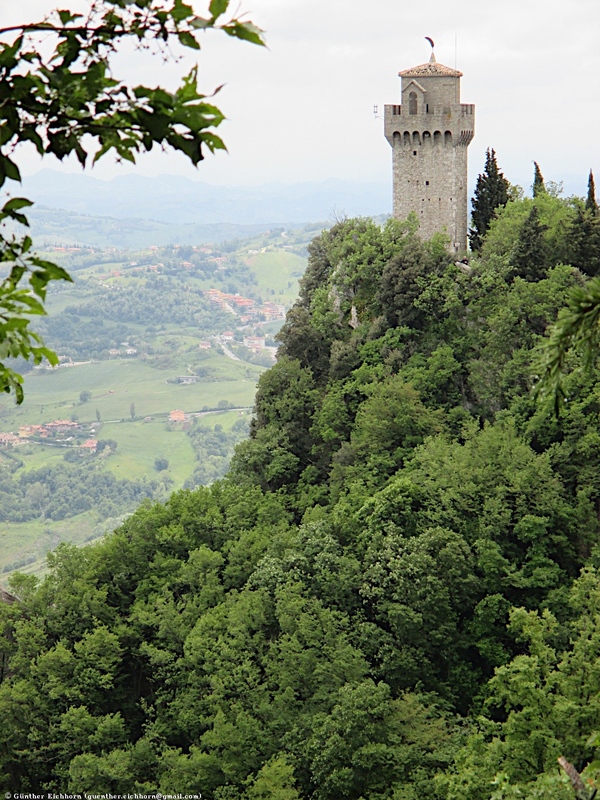 I stayed two nights in Borgo Maggiore, one of the towns in San Marino, so I had one full day to explore the castle of San Marino. 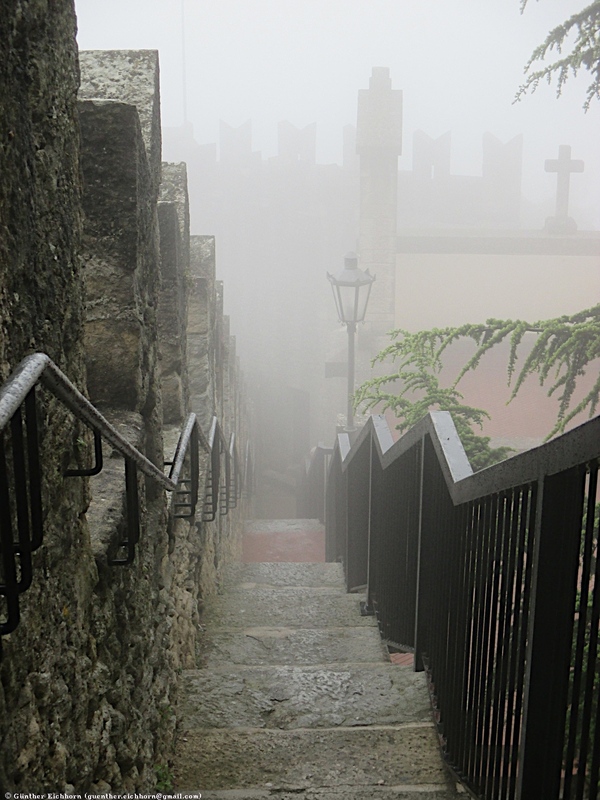 Unfortunately, it was cloudy and rainy in the morning when I went up to the castle, so I went back to the hotel around 11:00. 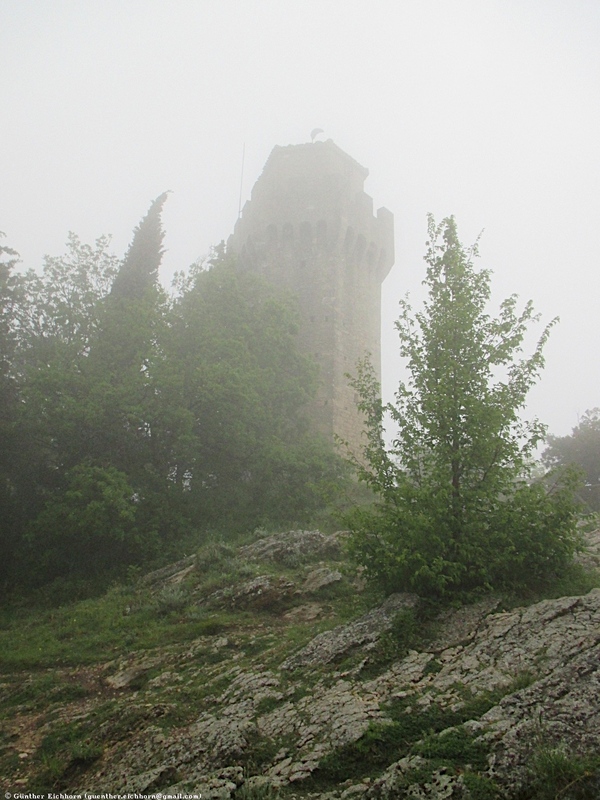 Fortunately it cleared up around noon and I went back up to the castle, to see the castle in sunlight. 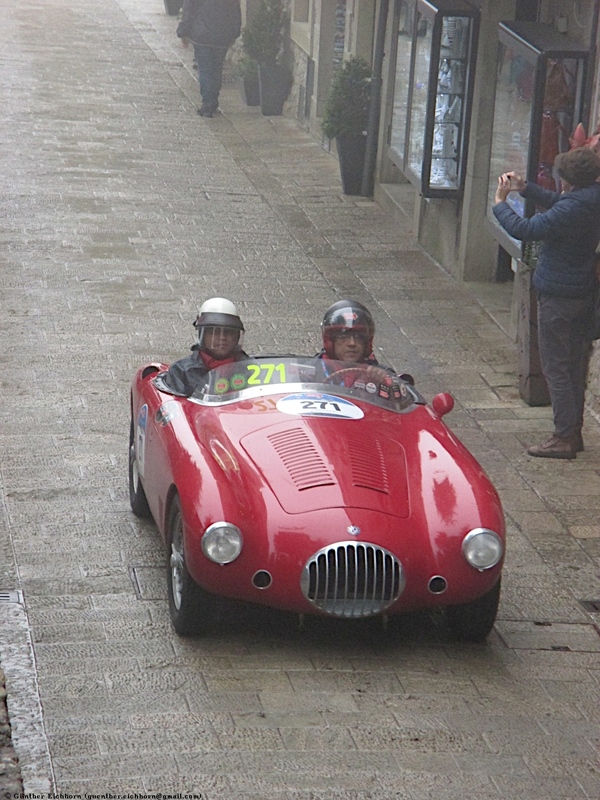 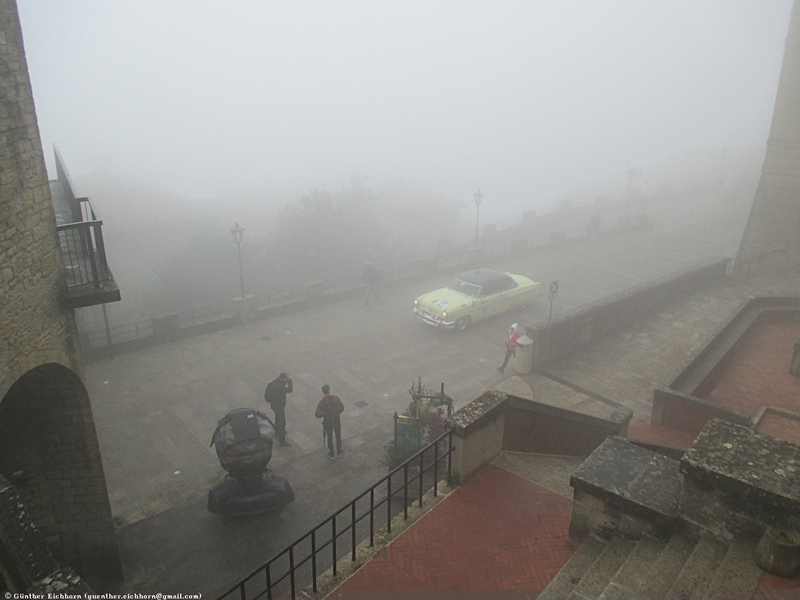 In the morning there was an antique racing car rally, which meant that many roads were closed, it was a madhouse, and all of it in fog. 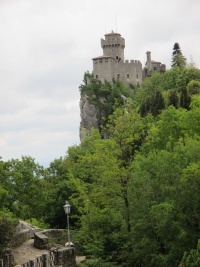 The rally was over when I went up to the castle the second time, so it was somewhat quieter, although the castle is always very crowded with tourists.